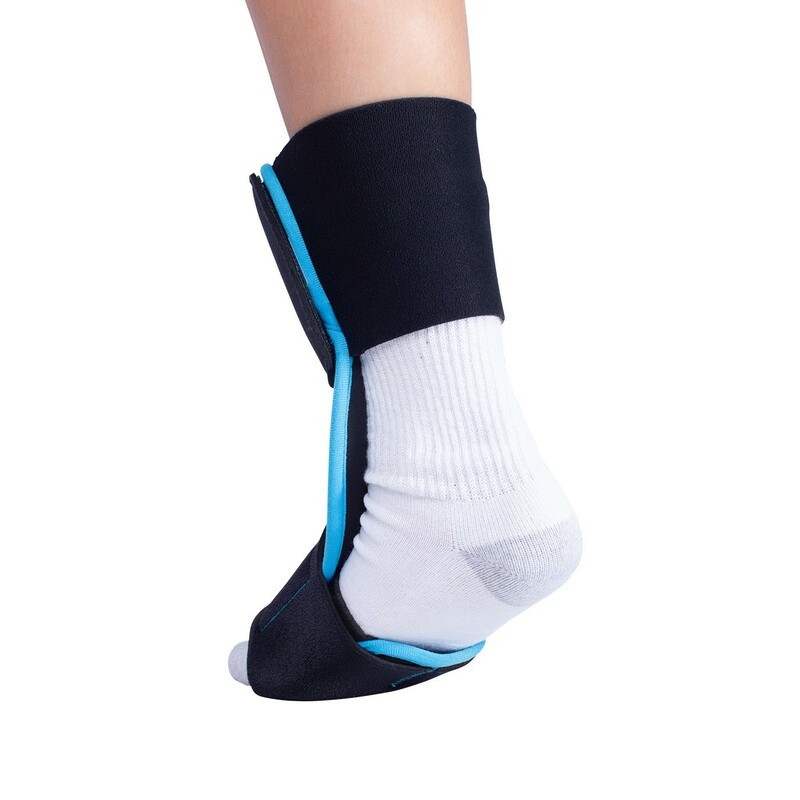 Lightweight, semi-rigid night splint to help relieve Plantar Fasciitis pain. 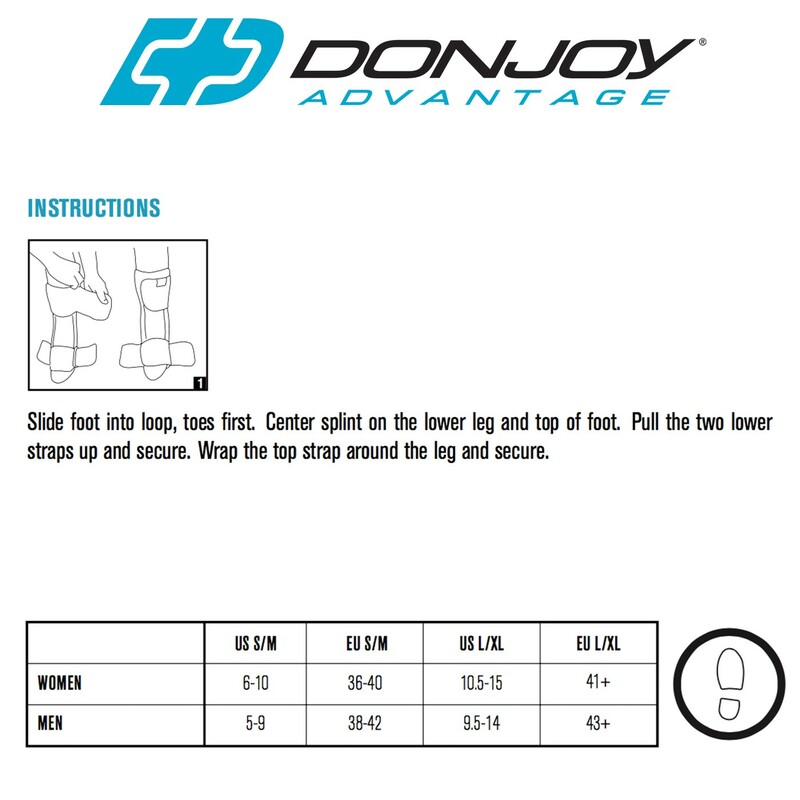 The DonJoy Advantage Plantar Fasciitis Night Splint helps ease foot pain associated with Plantar Fasciitis and Achilles Tendonitis. 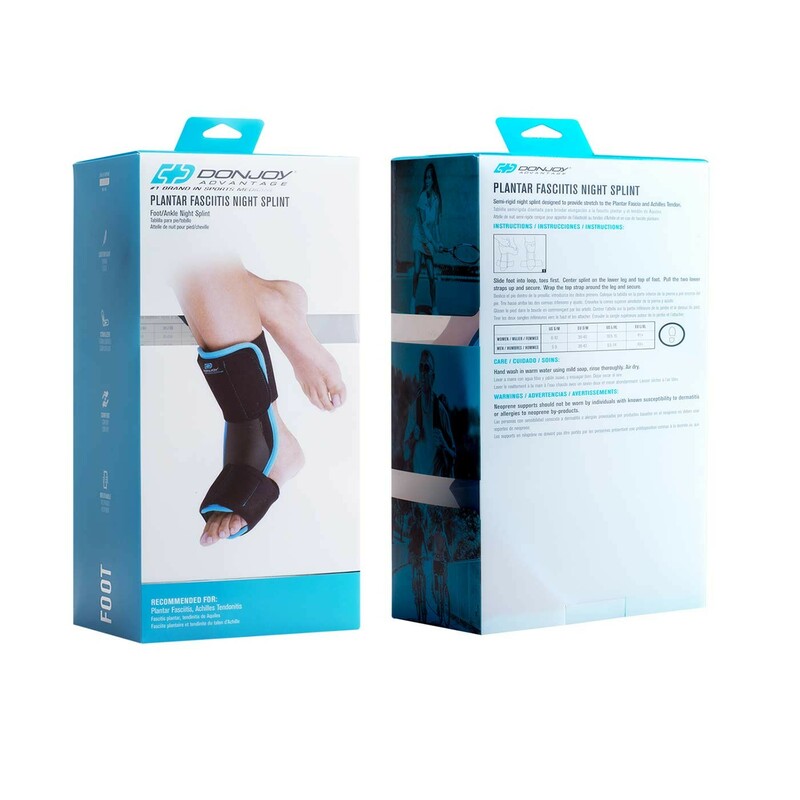 Designed as a low-profile, lightweight night splint, this splint keeps the foot in a 90-degree position all night, providing a nice stretch to help relieve foot aches. 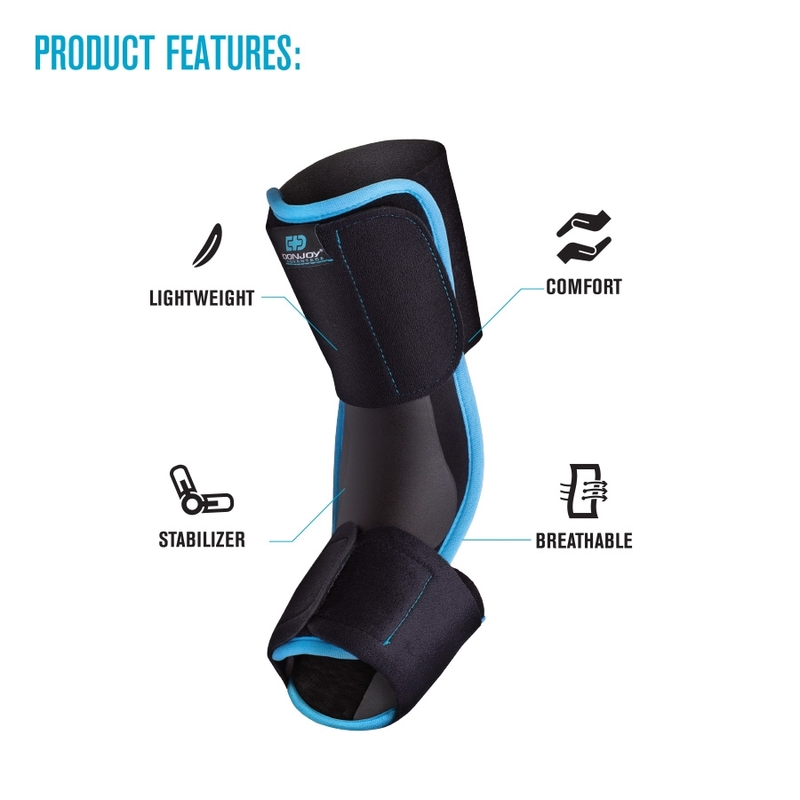 The rigid shell has foam padding for additional comfort and two straps to hold the splint in place. 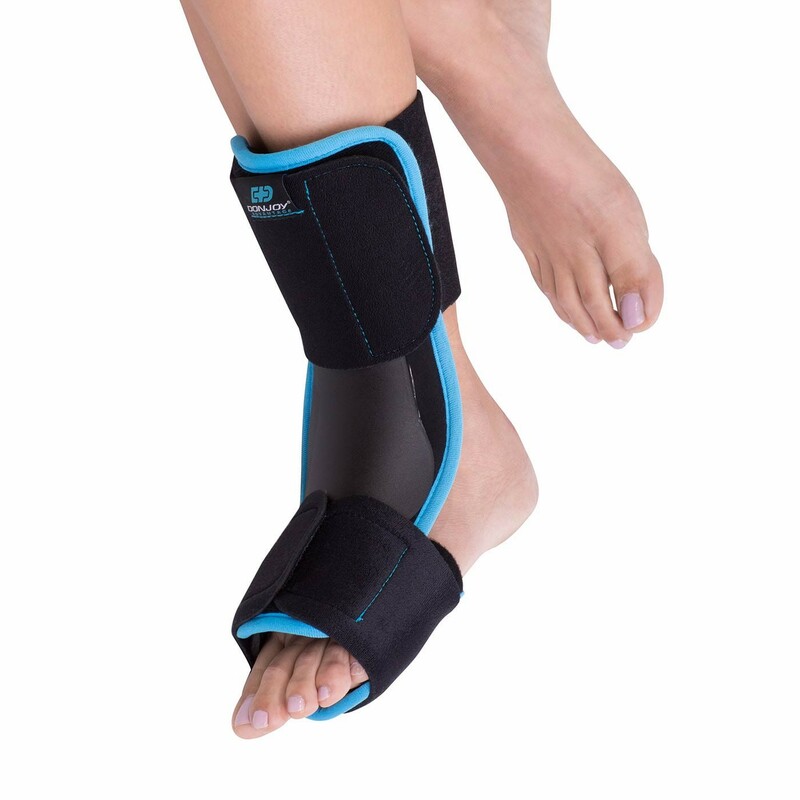 The Plantar Fasciitis Night Splint is easy to put on and adjust, and can be worn on the left or right foot. 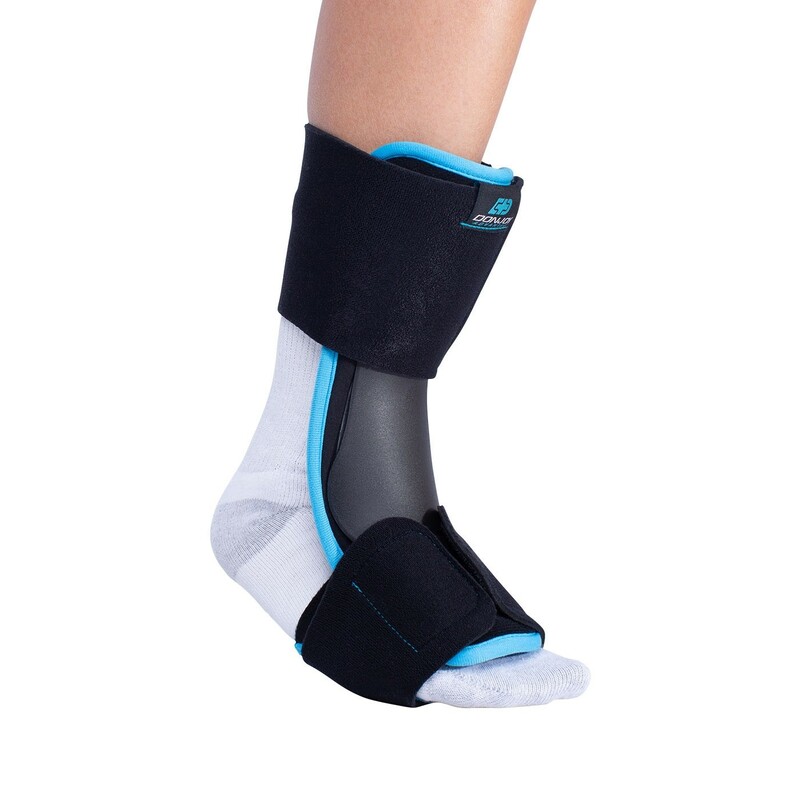 Note: This brace is not load bearing. 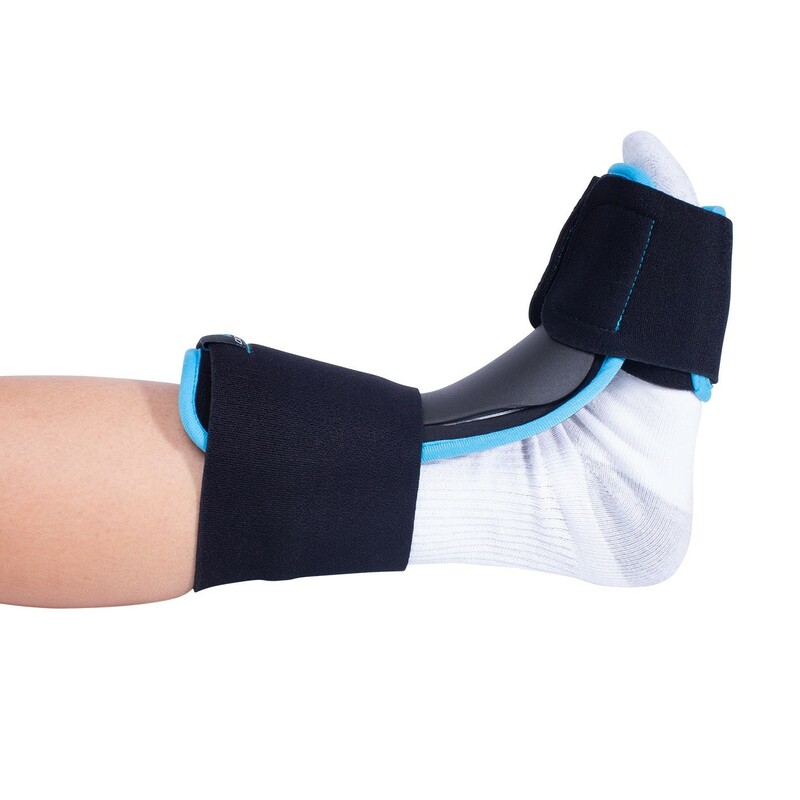 It is to be worn during sleep.